Cézanne reportedly worked outdoors nearly every day in 1873, when he was staying with his mistress and young son in Auvers-sur-Oise, a small village northwest of Paris. Working alongside Camille Pissarro, who lived in the neighboring town of Pontoise, Cézanne experimented with new methods of representing the natural world. 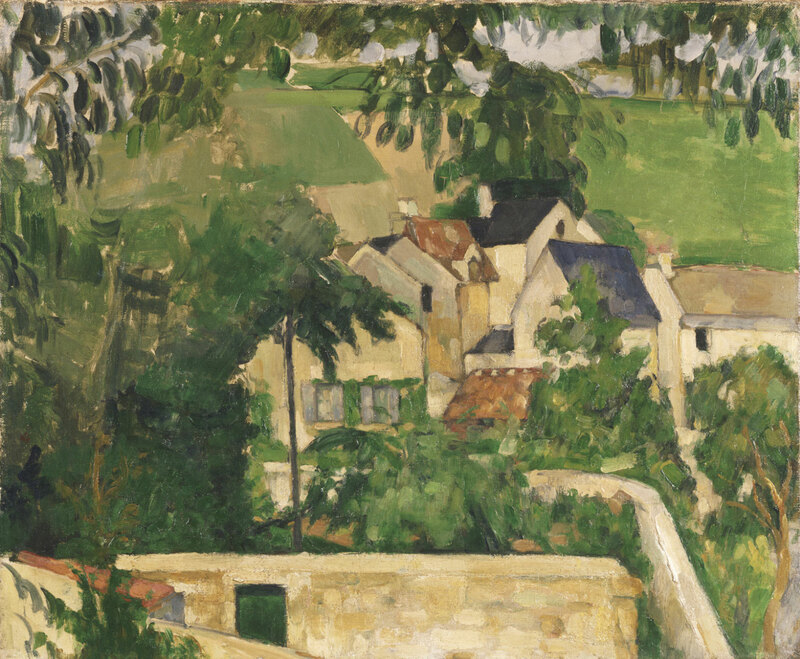 Delineating structures in the landscape with broad planes of color, he rendered the houses of the village of Auvers--seen over an ocher wall--in dense, angular brushstrokes of solid color. In contrast, the trees that frame the view are executed with lighter, more rounded daubs of paint suggestive of Impressionist painting. With a flattened picture plane and lacking a single focal point, the landscape is broken into geometric shapes. In concentrating on form and color, Cézanne rejected the Impressionist concern with temporality and atmospheric effects; he has even limited the sky to thin slivers glimpsed between the trees' leaves, so that it is difficult to gauge the time of day. Jennifer A. Thompson, from Masterpieces from the Philadelphia Museum of Art: Impressionism and Modern Art (2007), p. 94.